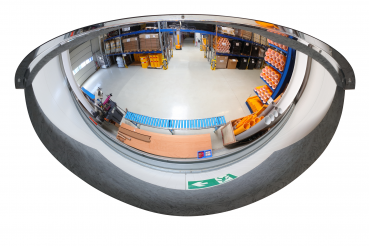 The 180 ° dome mirror is an efficient and space-saving investment in occupational safety. 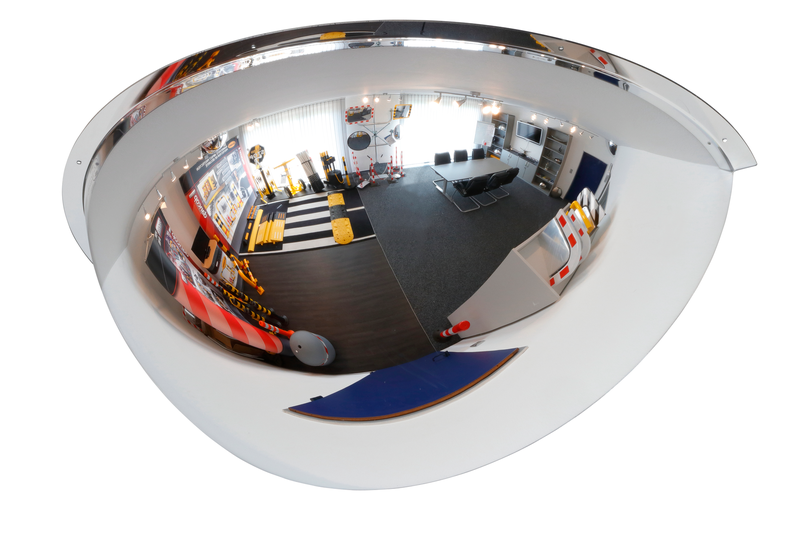 The BM 180 ° has a brilliant mirror image and can therefore be used in industrial areas as well as in workshops and department stores. In the industrial sector, the BM 180 ° provides a good overview and in retail, potential shoplifters are deterred. The BM 180 ° is made of lightweight and impact-resistant acrylic glass.